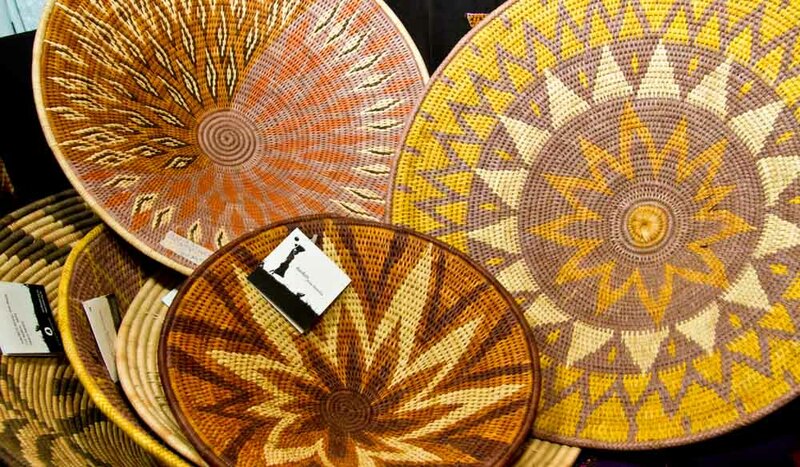 The people of Namibia produce some decrotive and beautiful woven baskets, that you cant leave the country without. A green oasis in a dry, mountainous landscape, Namibia’s capital is surely one of the most surprising African cities, retaining striking connections to its Germanic past. African crafts, German castles and a gateway to the Namib wilderness. Head to the old heart of Windhoek for a stroll past its intriguing German colonial buildings, some of which are as old as the city itself. Start in the middle of it all at the city’s most recognisable landmark: the striking German Lutheran Christuskirche. It’s a rather photogenic, curious mix of neo-Gothic and Art Nouveau influences, designed by Gottileb Redecker, who also created the country’s parliament building just down the road. The official name of the parliament is the Tintenpalast, or ‘ink palace’, perhaps a cheeky reference to the vast quantities of ink spent drafting red tape. Rest your legs a while in the ornate gardens before heading over to the city’s oldest building, the imposing Alte Feste, the ‘Old Fort’, built in 1890 to house the Schutztruppe, Germany’s occupying forces in Africa. The fort marks the beginning of the modern city of Windhoek, and you’ll find the National Museum of Namibia here too. Housed in the industrial setting of the Old Brewery complex you’ll find the fantastic mixed-use arts space that is the Warehouse Theatre. The people of Namibia produce some stunning art and fabrics that you shouldn’t leave the country without. 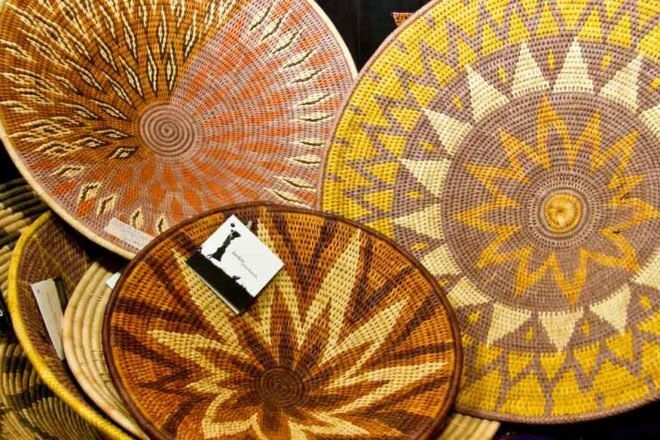 Head to the Namibian Crafts Centre for more than 30 stalls selling everything from woven baskets, beadwork jewellery, tribal masks, and exquisite sculptures fashioned from the roots of the country’s ironwood trees. A 10-minute walk away you’ll find the colourful and bustling Post Street Mall for more arts and crafts, the centre of which is marked by a public installation incorporating meteorites from the famous Gideon Meteor that exploded over Namibia in prehistoric times. Of the three German castles in Windhoek it’s Heinitzburg Castle that you can’t leave the city without paying a visit, if just for a cocktail or two. Commissioned by Count von Schwerin in 1914 for his fiancé, ensuring he positioned it with the best views of the city, the castle is now a luxury hotel and the ideal spot for an evening drink to take in the city and the mountains beyond from its Garden Terrace. If you’ve settled in for the night then stay for dinner at Leo’s at the Castle; the priciest restaurant in town but also the best. With easy access to beans from across the continent, Windhoek has experienced a surging coffee culture in recent years. The Kaffee Bar in the Wecke & Voigts store, is a ‘national treasure’ of a cafe, to get your fix for the day. Winnie Guesthouse has well-appointed rooms, a restaurant, bar and an outdoor pool to escape the African heat. In the heart of the old town, the Hilton Windhoek has restaurants, bars, a rooftop pool, spa and gym. Stay in the regal setting of Heinitzburg Castle with fantastic views out across the city.